Rocky Mountain House, Alberta – On Friday, March 15th, 2019, Rocky Mountain House RCMP members were patrolling the O’Chiese First Nation. An officer observed a vehicle travelling at a high rate of sped and attempted to pull the vehicle over. The vehicle fled from the officer eventually becoming stuck in a ditch. Two males ran from the vehicle. After a lengthy foot pursuit responding officers arrested both males. 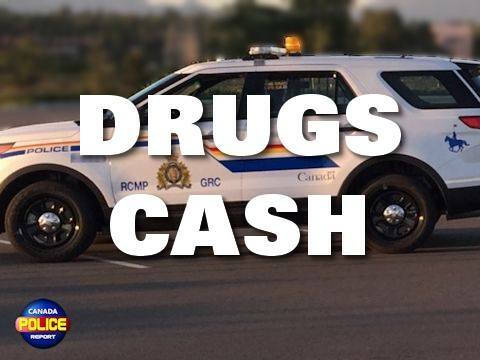 A search of the male driver and the subsequent vehicle resulted in police locating methamphetamine, a machete style weapon and a large amount of Canadian currency. The passenger of the vehicle, a 25-year-old male was released on a Promise to appear.